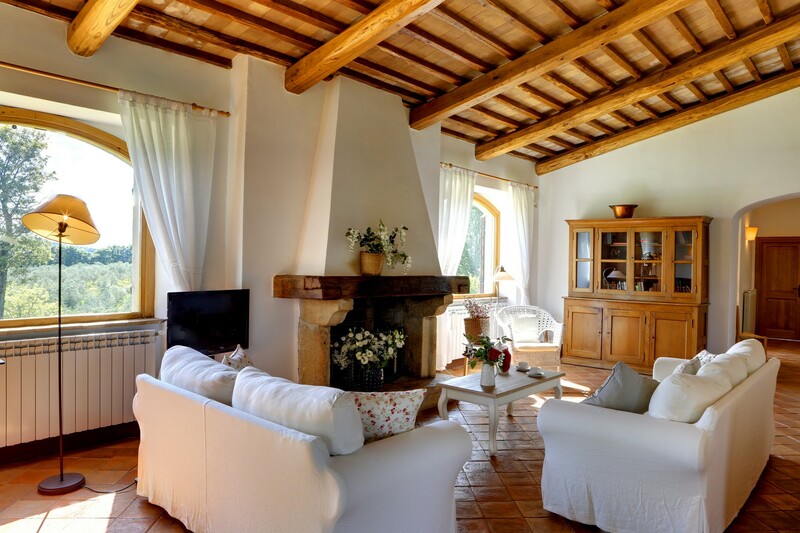 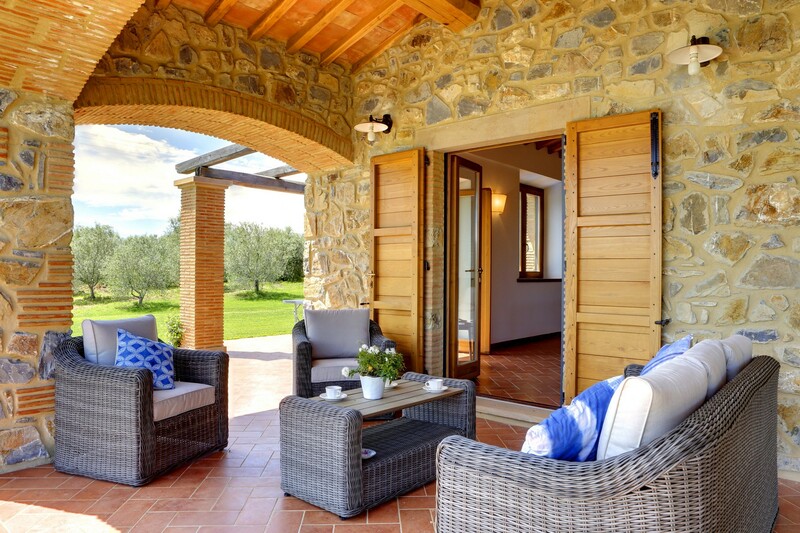 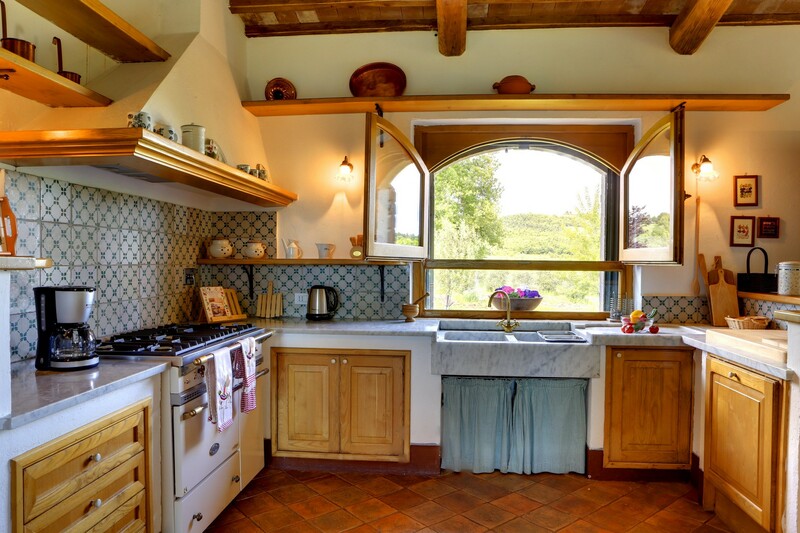 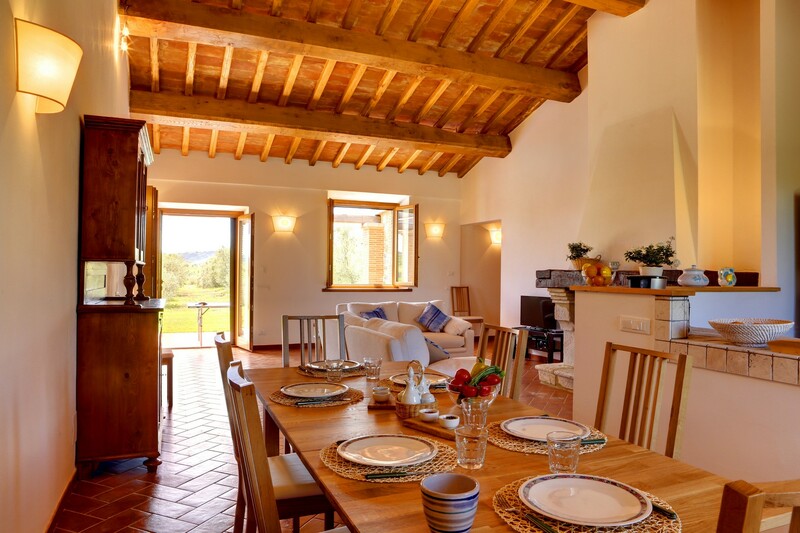 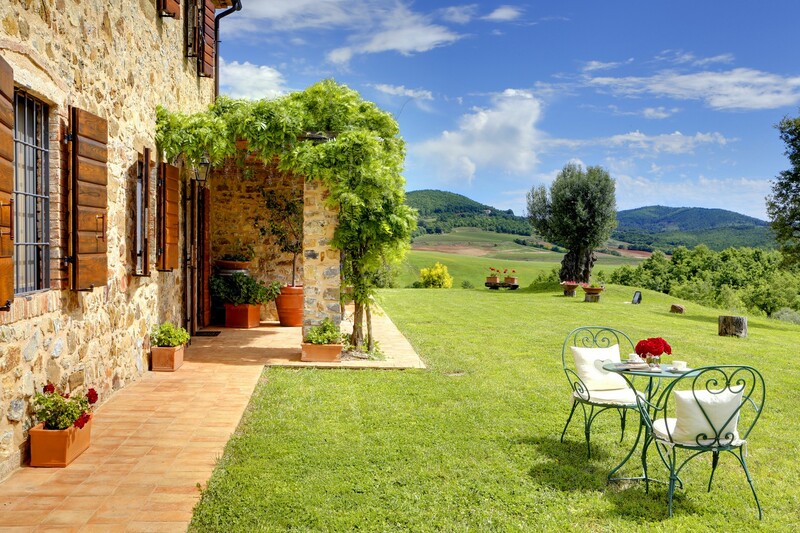 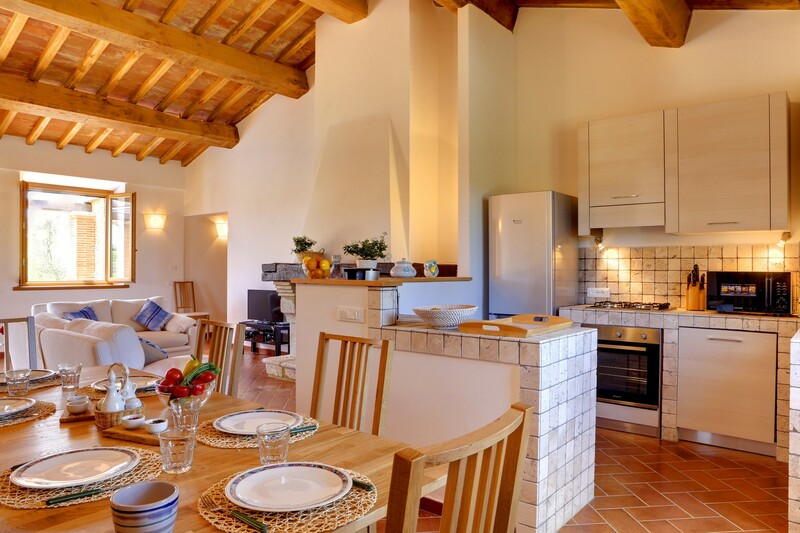 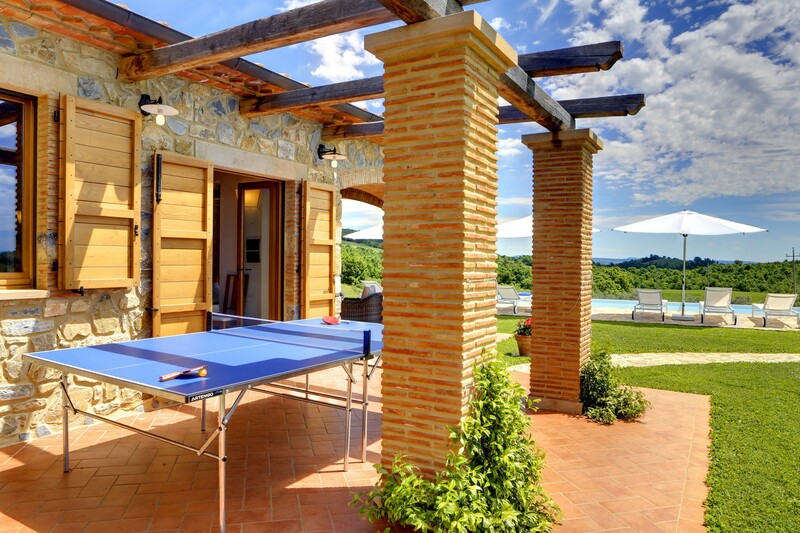 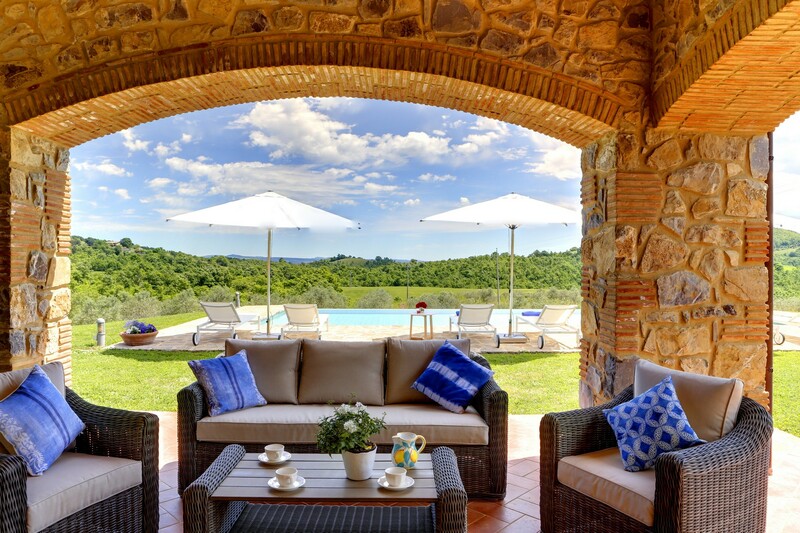 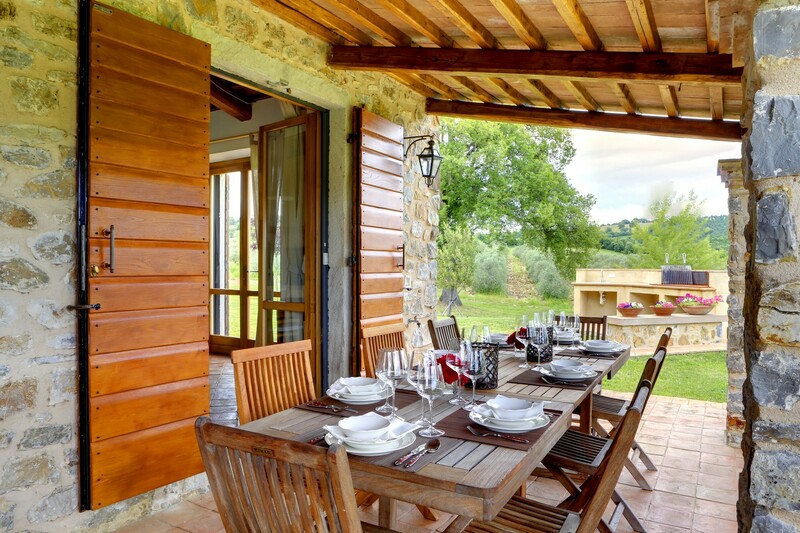 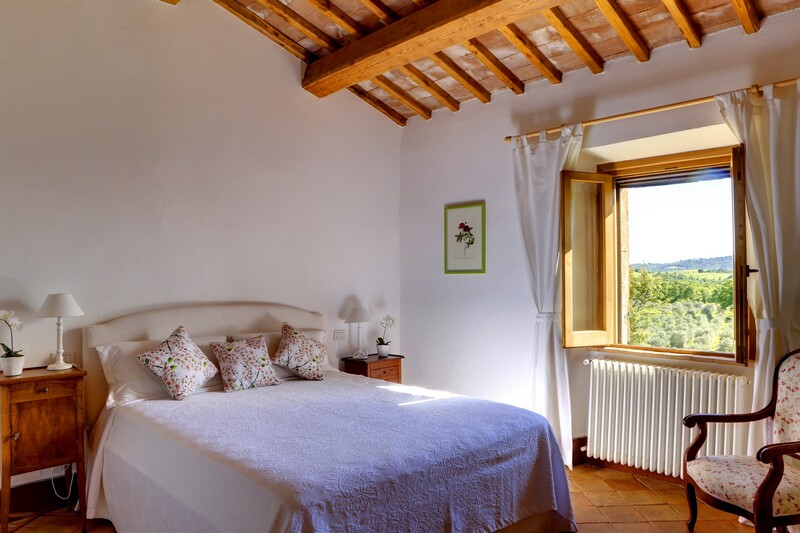 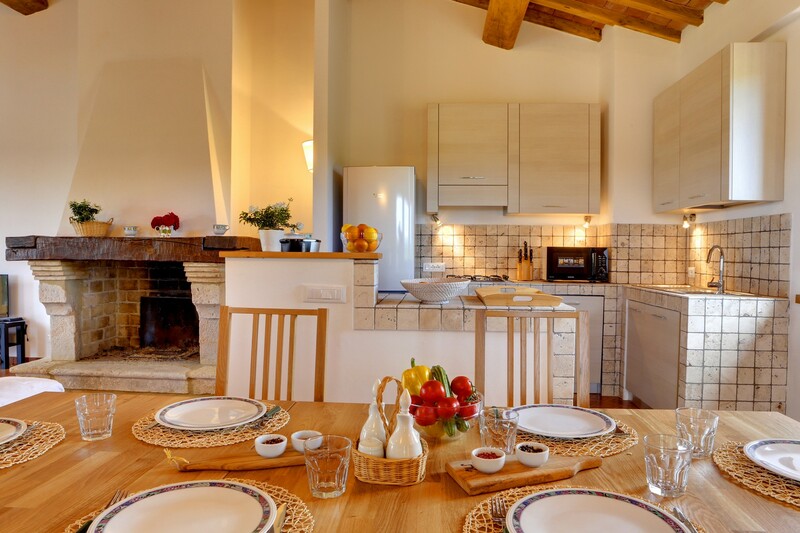 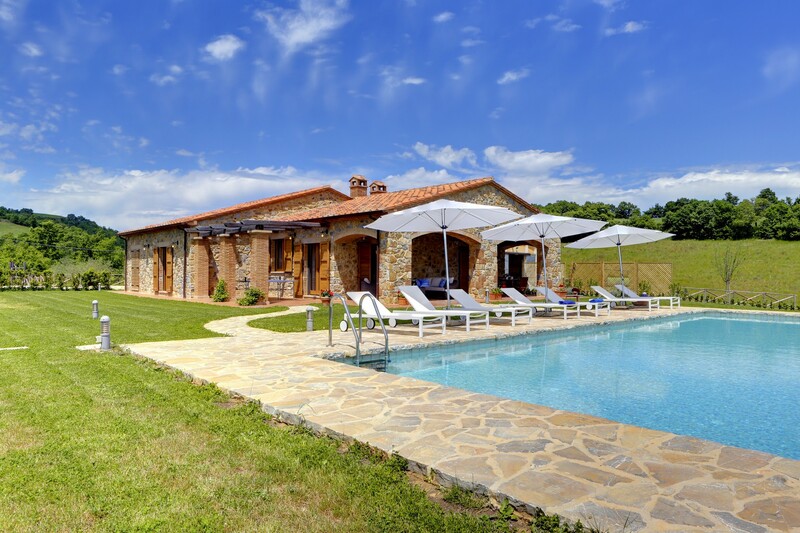 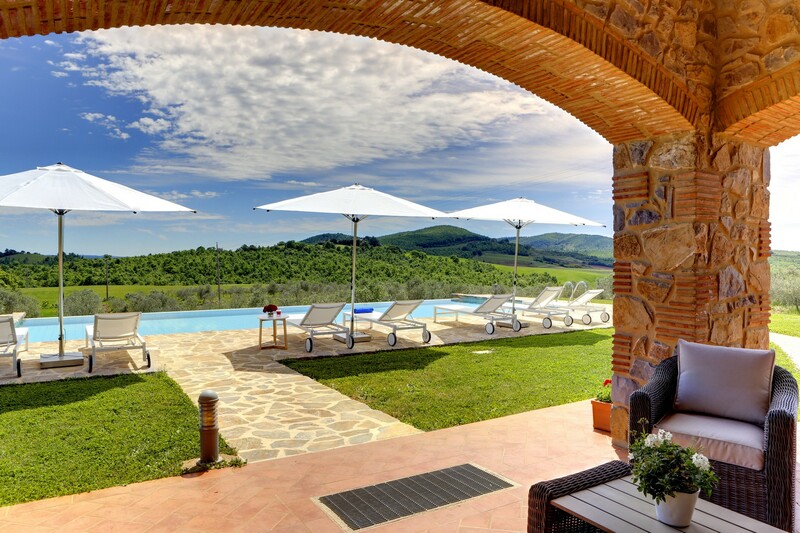 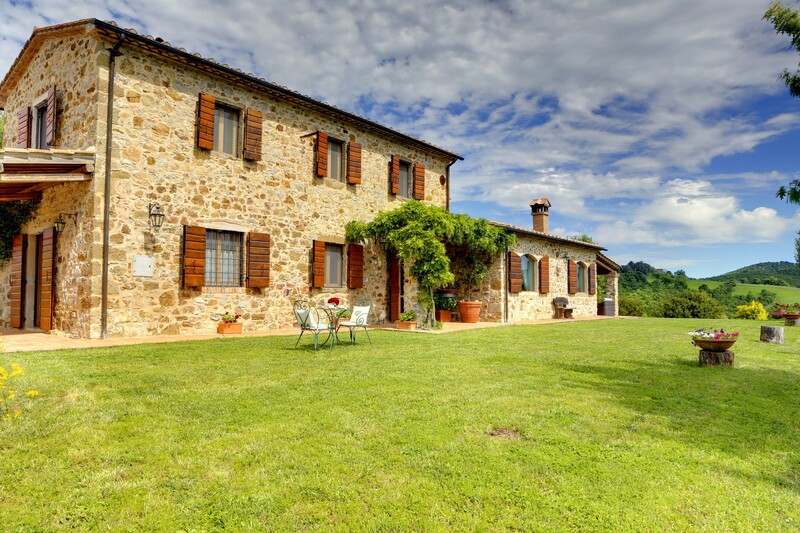 The property is located in the southern area of Tuscany, also known as Maremma. 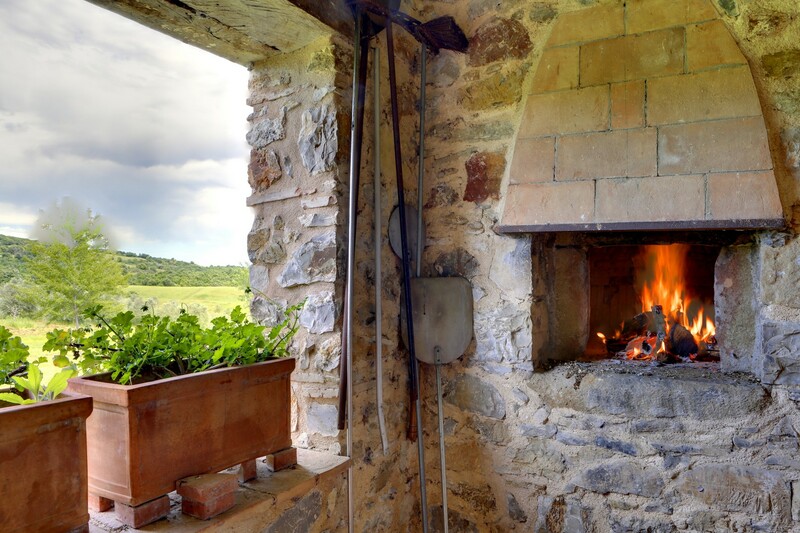 The farmhouse, located in the middle of this area, often awarded by Legambiente and Touring Club for the excellent preservation of the environment and quality of the landscape, is about 45 km from the sea, 35 km from mount Amiata and just 10 minutes' drive from the famous spa of Saturnia which attracts tourists from all over the word for its healing thermal waters. 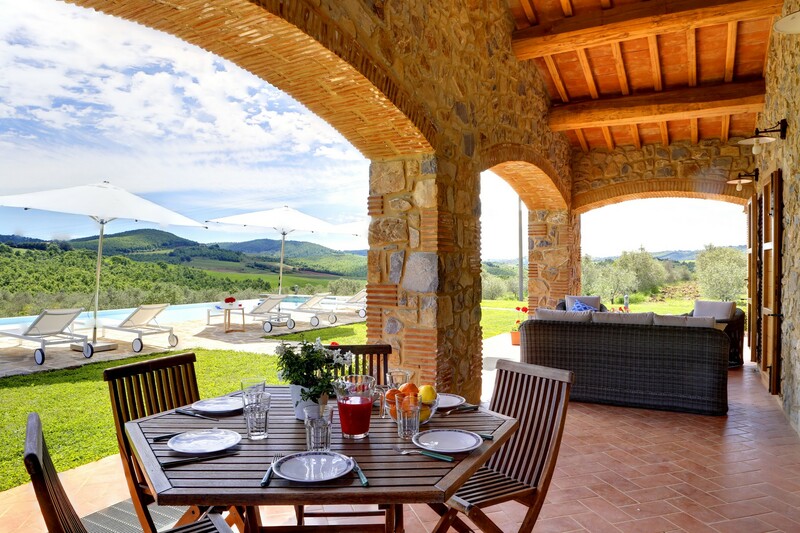 Here nature is luxuriant and uncontaminated, you breathe clean air, rich in oxygen for the presence of woods, and the countryside is still in a pristine state, which is rare in other areas of Tuscany and Italy. 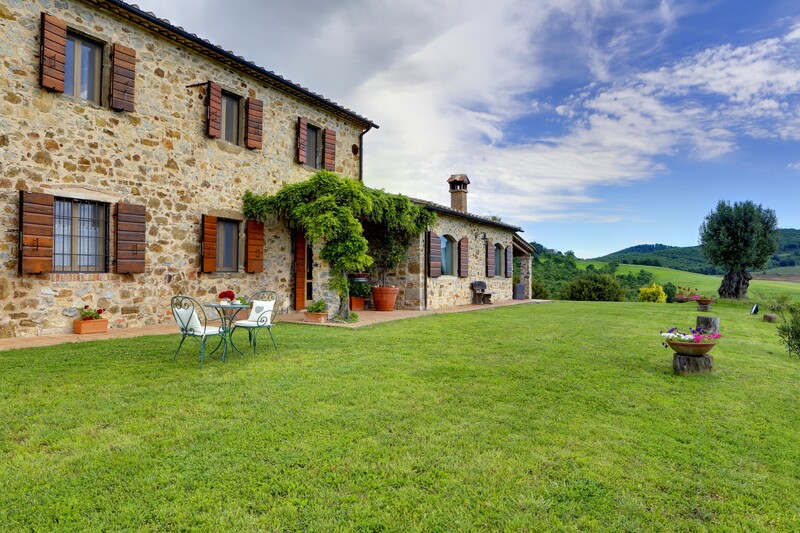 You will realize this when, on summer nights, thanks to the absence of city-lights pollution, you will be able to admire splendidly starred skies and have fun identifying constellations. 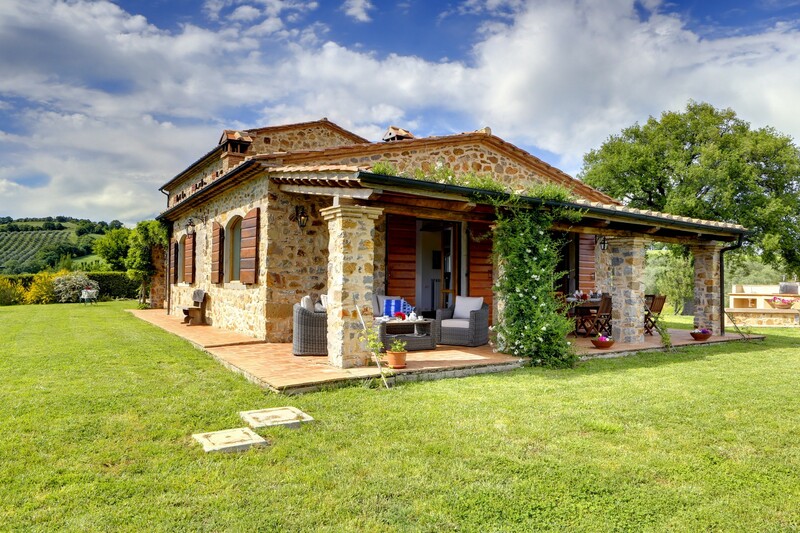 This entire side of the Maremma is also the home of many wild animals that inhabit thickets and woods and, on occasion, you can even see them not far from the house: deers, pheasants, foxes, hares, porcupines, wild boars, and others. 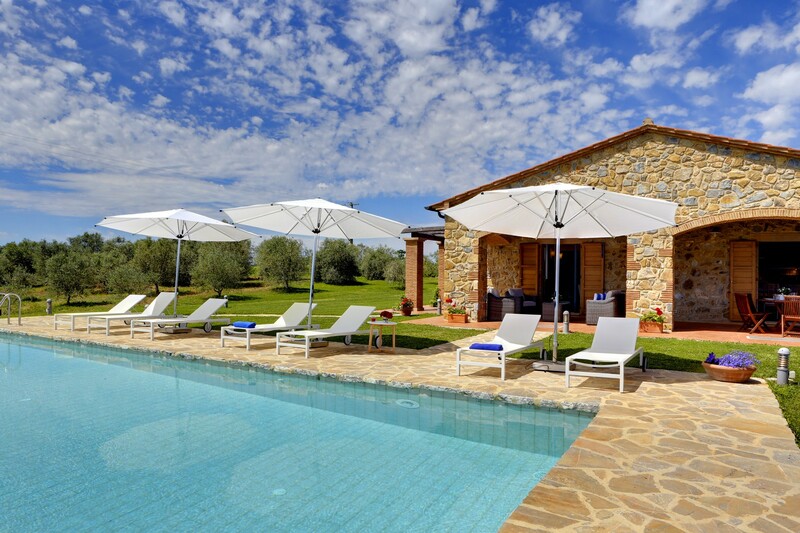 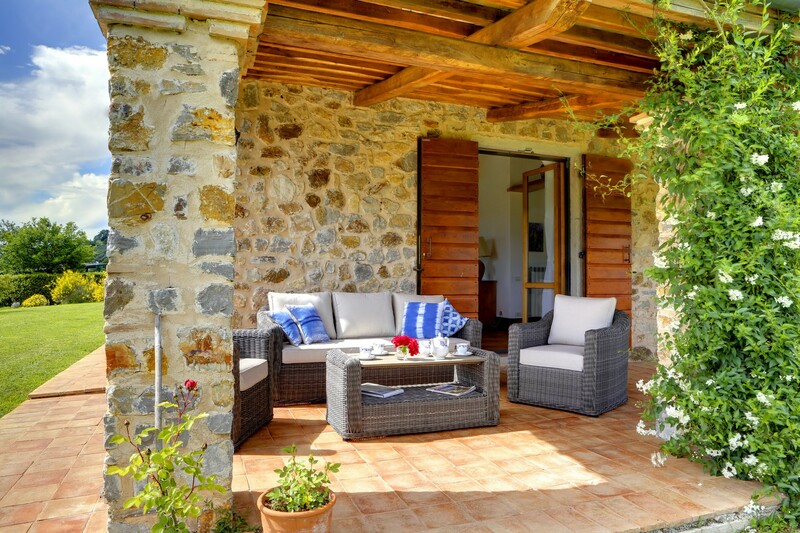 The property consists of two stone buildings in traditional Tuscan style: an old villa recently renovated and a second villa with infinity pool, built in 2014; a 30-hectare land, on which is located an olive grove of 12 hectares with 3100 olive trees that produce a high-quality biological olive oil. 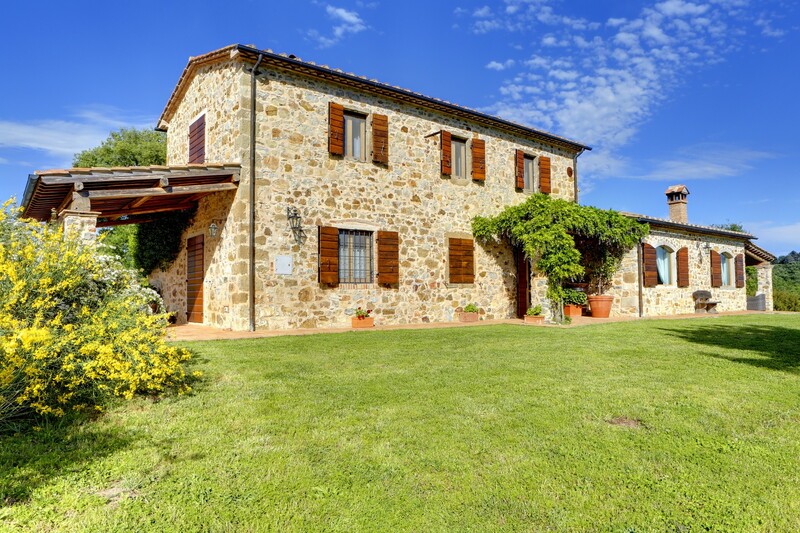 The remaining surface is arable, forest soil and gardens around property; a two-floor building (240 sqm) for agricultural use. 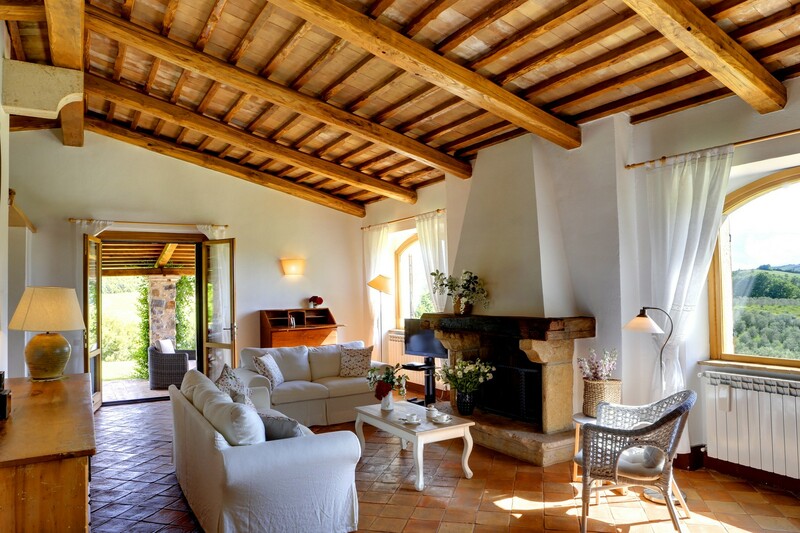 The main villa of 240 sqm has been recently renovated with great attention to preserving the original style of the residence. 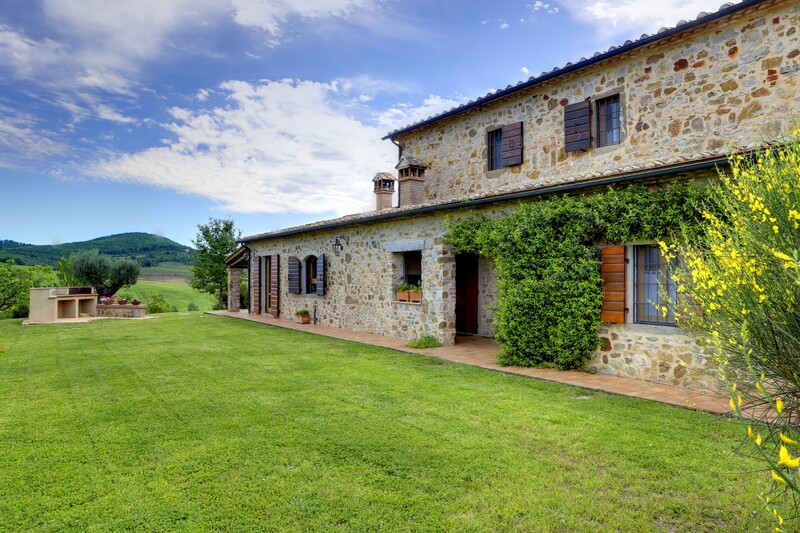 It is arranged over two floors and is made of ground floor, entrance, kitchen, living room, bedroom with inside bathroom, and a further guest bathroom. 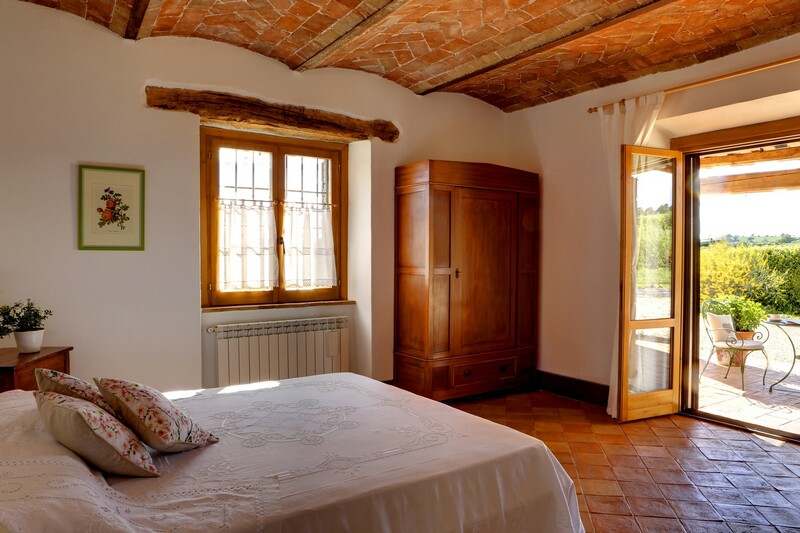 There are two further bedrooms whit inside bathrooms on the second floor. 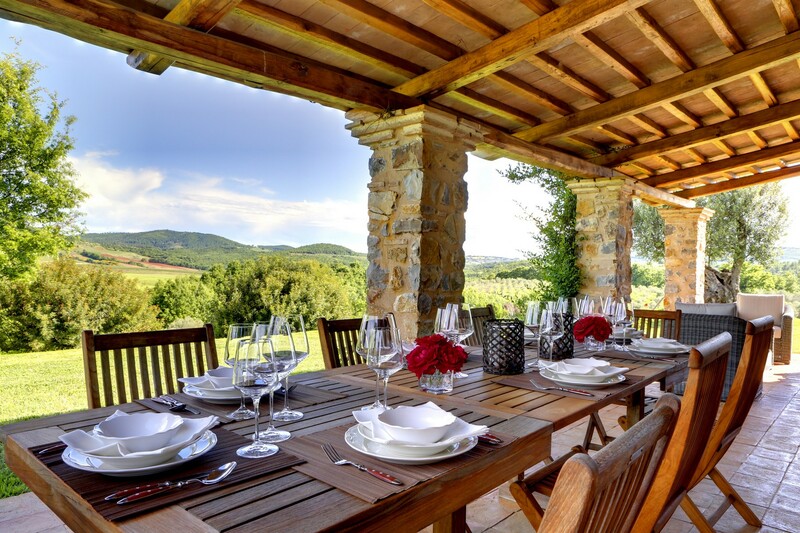 The exterior boasts terraces with pergolas, ideal for 'al fresco' dining and appreciating the panoramic views. 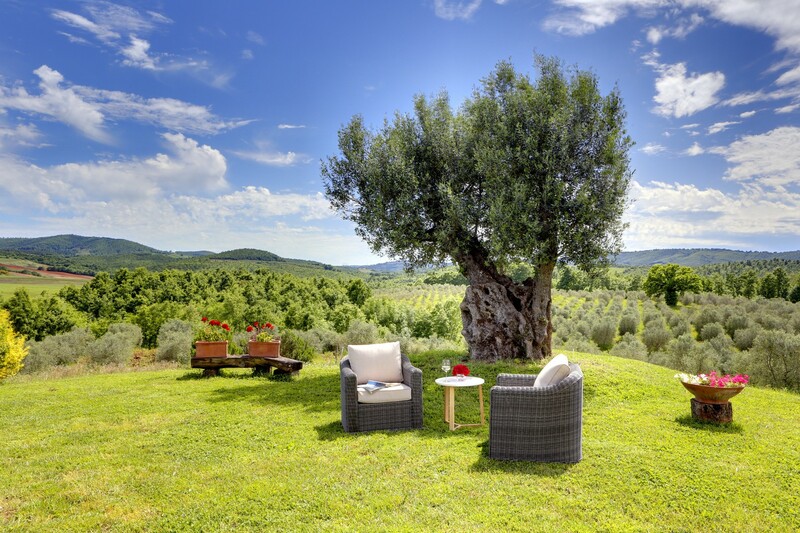 The well-maintained lawn is decorated with trees including some very ancient olive trees. 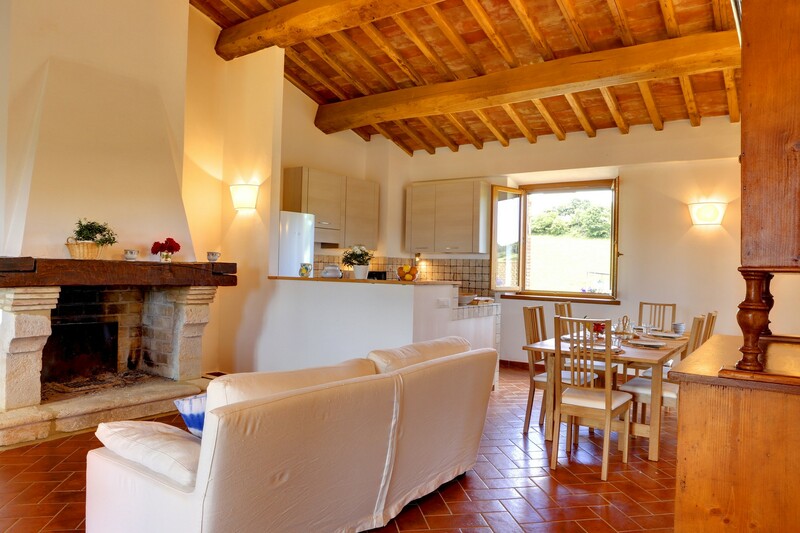 The second villa of 165 sqm is divided into two adjoining apartments: the first apartment (65 sqm), dedicated for the staff, is made of kitchen and living room, two bedrooms and one bathroom; the second apartment (100 sqm) is made of a large living room with a stone fireplace, kitchen, two bedrooms and two bathrooms. 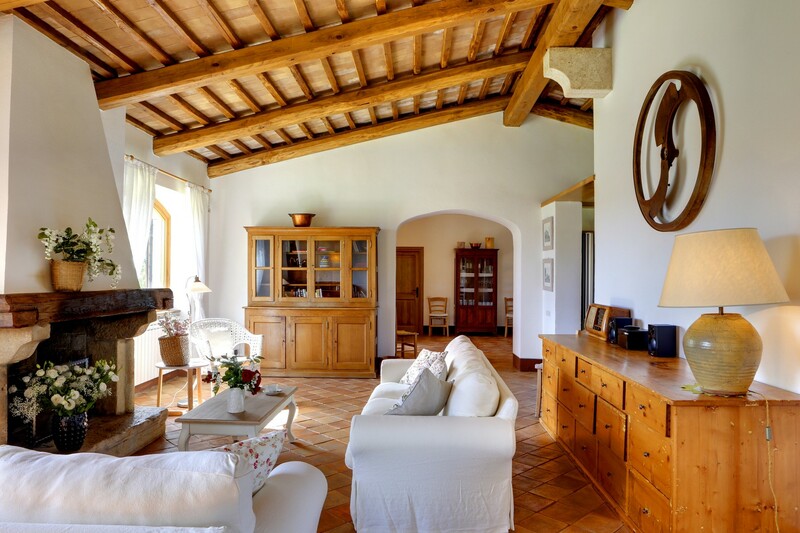 Under the floor exists a big garage with a wide room aside, all for 100 sqm. 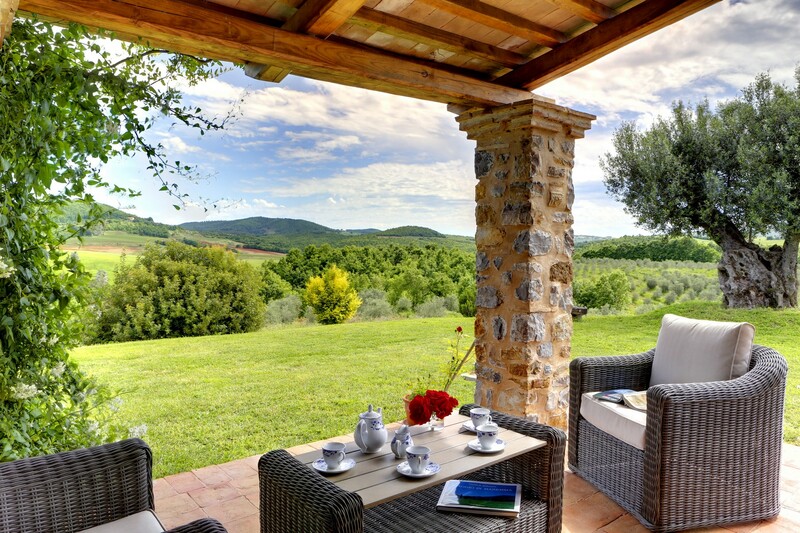 The exterior boasts terraces with pergolas, ideal for staying cool, dining 'al fresco' and appreciating skyline. 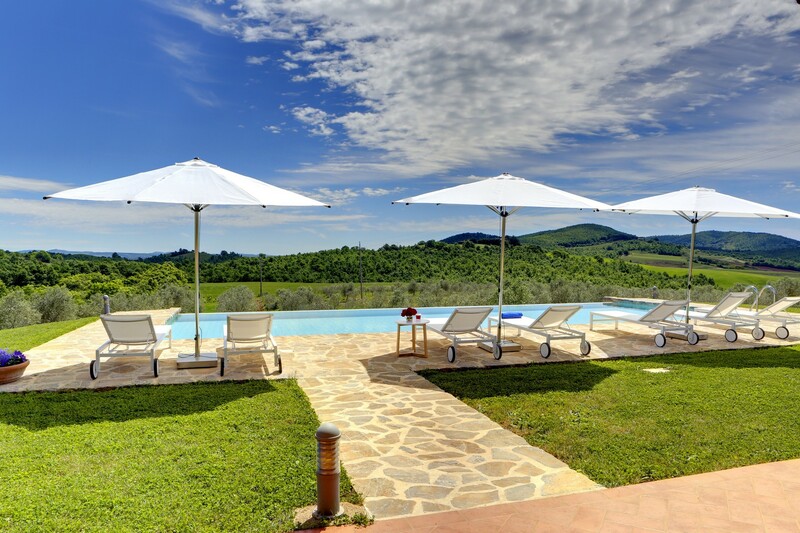 The well-maintained lawn is decorated with a large infinity pool whose surface is 14x6 m and 1.4 m deep.